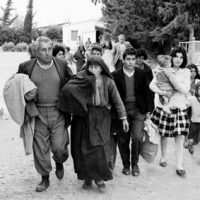 Cyprus gained independence from the United Kingdom on August 16, 1960, but the agreements that led to sovereignty failed to resolve serious differences between the Greek Cypriot and Turkish Cypriot communities. 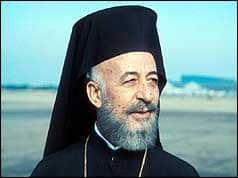 The first President of Cyprus, Archbishop Makarios III, introduced amendments to the constitution in 1963 to eliminate some of the provisions favoring the participation of Turkish Cypriots in the government. The 1960s and early 1970s saw violence and foreign intervention by Greece and Turkey. Since 1974, Cyprus has been divided, and United Nations peacekeeping forces have maintained a buffer zone between the two sides. The first Cyprus desk officer, Archer K. Blood, contends that had early British offers been accepted, Cyprus would have become part of Greece. He was interviewed by Henry Precht starting in June 1989. Charles W. McCaskill, the first Economic-Commercial Officer to Cyprus, discusses the complex, yet unworkable, agreements that led to Cyprus’ creation. He was interviewed by Charles Stuart Kennedy July 1993. Go here to read about the 1974 Turkish invasion of Cyprus and the assassination of Ambassador to Cyprus Rodger Davies. You can also read Archer Blood’s dissent to Henry Kissinger. BLOOD: I became the first Cyprus desk officer. This would have been 1958. Cyprus, of course, didn’t achieve independence until 1960. It was still a British colony. 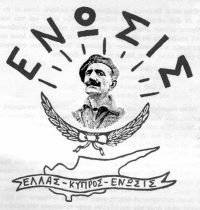 There was an insurrection going on in Cyprus of the EOKA, the [a paramilitary organization of] Greek Cypriots trying to achieve union of Cyprus and Greece (a poster supporting the union seen here). [There were] many negotiations with Greece, with Turkey, and the British. It was coming up in the U.N., brought by the Greeks every year…. [The U.S. was] trying to, of course, bring about a negotiated settlement of the Cyprus problem that would secure our military concerns in the area and not upset Turkey too much. We were trying to block — the time I was there — the Greek efforts to use United Nations General Assembly to try to force some action with respect to Cyprus. Eventually we [favored an independent Cyprus], but we didn’t start off that way. I remember drawing up a plan myself that called for “enosis” [union] of Cyprus with Greece with Turkish bases on the island. That didn’t get very far either. I’ve always thought that the Greeks misplayed the Cyprus — Makarios particularly, the Greek Cypriot leader — misplayed the Cyprus issue. If they had — and this is my own theory — accepted the early British offers for limited self-government…that eventually and gradually just like in many places of the world, and without Turkish resistance, Cyprus would have become part of Greece…. The Greek Cypriot resistance worried and antagonized the Turkish Cypriots and then the Turkish government. When the Turkish government became intimately involved, the problem became much more intractable. The chance for enosis, that is, union of Cyprus with Greece, which I always had favored myself, disappeared. The key event, in my own analysis, in the move toward independence was the defeat of the Greek effort at the United Nations in November of 1959. The Greeks had made the mistake of allowing Krishna Menon of India to stage manage their effort. [The U.S.] position was against the Greek initiative. We were getting many telegrams from Greek-Americans throughout the country urging us to support Greece in the United Nations. 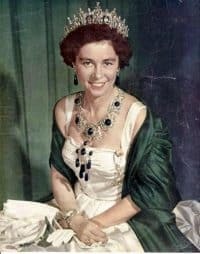 The Queen of Greece, Queen Frederica (seen here), had a very long-standing letter writing relationship with George Marshall, who was, of course, retired by then. But she was pressing him to intervene on behalf of Greece. 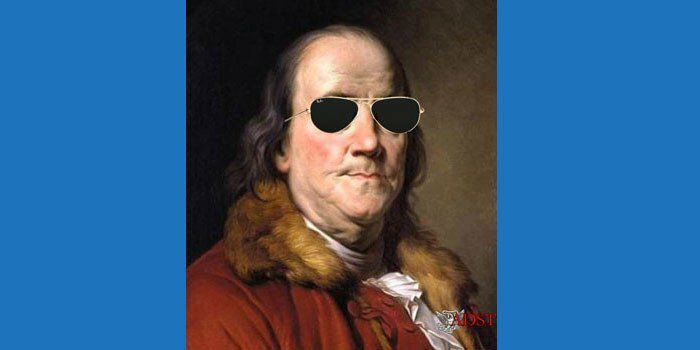 Our feeling was that if the Greeks realized that they couldn’t get anywhere in the U.N., then they would be forced into negotiations with the Turks and the British. And we wanted to stop, once and for all, the U.N. effort which had been conducted on a yearly basis. We wanted to make it clear to the Greeks that they better give up this U.N. route and resign themselves to negotiations. .. The Turks were playing to their strength. They had won our gratitude in Korea. They were, in terms of military significance to NATO, more important than Greece, and they knew it. And they sensed that we were probably not going to accede to Greek wishes. McCASKILL: The London-Zurich Agreements establishing the new Republic of Cyprus had been signed in February 1960, and there was some relief (obviously premature) among all parties concerned (except the Greek Cypriots) that “The Cyprus Problem” was settled. Athens was truly anxious to put the Cyprus Problem to rest, to get on with solving some of Greece’s problems. It should be kept in mind that Greece was at war longer than any other single European country — from October 28, 1940 to the end of the Bandit War in 1949 — and the Greek Government wanted to get on with rebuilding the country. The Greeks had been completely preoccupied with Cyprus from the early 1950s, and time and energy that should have gone into reconstruction of Greece were devoted to Cyprus. The international community was fed up with Cyprus, which had been at the center of the world stage for some years. So the feeling in Greece, at least in Thessaloniki, was one of relief that the problem was settled. It was our perception that the Greeks were relieved. 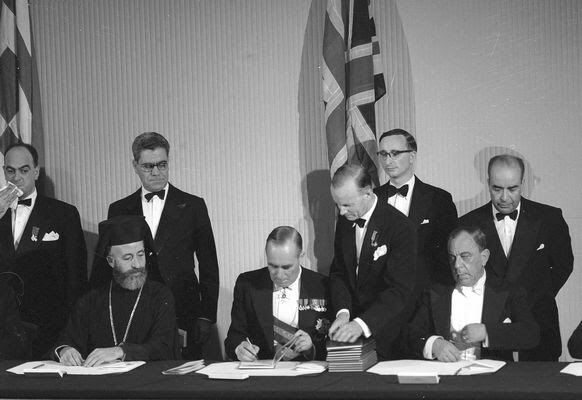 When I arrived in Cyprus I was surprised to find a general feeling among the Greek-Cypriot community — which was 80% of the population — that the London-Zurich Agreements would not work, that the safeguards written into the agreements for the Turkish Cypriots were extreme, that the agreements were “not fair,” and on and on. Most objectionable to the Greek Cypriots, Turkey could, under the Treaty of Guarantee, intervene in Cyprus. The Turkish Cypriot community’s vetoes, legislative and executive, could bring the government to a standstill. The Turkish Cypriots, 20% of the population, were given 30% of the civil service and the legislature. The Greek Cypriots vigorously opposed the concept that the two communities on the island were equal partners, that there was no majority community and no minority community, that they were both equal participants in the government. The Greek Cypriots, including Makarios, felt that the agreements had been imposed on Cyprus by circumstances, that Makarios had been “forced” to sign; no Greek Cypriot was present when the Greeks and the Turks reached agreement. Makarios stated later that he signed because the British threatened to partition the island if he did not agree to the agreements and he feared that inter-communal fighting like that of 1958 would begin again. Moreover, Greek Prime Minister Karamanlis rebuked Makarios rather strenuously at the first meeting in London and threatened to withdraw Greek support if Makarios refused to sign the agreements. Makarios had indicated in 1958 that he could accept a solution of an independent Cyprus rather than insisting on union with Greece. Great Britain by 1958 had reviewed its security position and had decided that bases on the island would satisfy its security requirements and that it did not need to hold the entire island. All of this led to the conference in Zurich and later in London…. I might add that I have thought about the London-Zurich Agreements over the years, and I have concluded that it was probably impossible for a small group of Greek and Turkish diplomats to work out, even in outline, such complicated agreements, and I have wondered if the agreements were drafted in London and slipped to the Turks who then put them on the table in Zurich. You may recall that they met in Zurich for less than a week and drew up an outline of the agreement. They then met in London a few days later to sign them. Many of the provisions had been contained in previous British proposals — most recently the MacMillan Plan — but one still has to wonder if the Greeks and Turks had the diplomatic expertise for such an undertaking. Cyprus was dubbed by some over the years as “The Reluctant Republic” since it was felt that the solution really desired by the majority Greek Cypriots was union with Greece rather than independence, and that independence was “forced” on Makarios. Those very early days were very interesting and exciting and even humorous as we approached independence. There was a story on the island that Makarios, by then the President-elect, and Turkish Cypriot Vice President-elect Fazil Kucuk realized rather late that they had not even thought of a flag. After all, every country had to have a flag on independence day. They agreed on a temporary flag which was a sort of yellowish-clayish outline of the island on a white background with olive branches underneath. There was actually widespread interest in Cyprus when it became independent. It was one of the first newly-independent small republics. With a population of 600,000 it was considered a very small country in those days, and there was considerable interest in seeing that it worked. Because of the long fight against the British and the fact that the problem was debated at such length in the UN, everybody knew where and what Cyprus was. Our own interests were several: (1) to deny the Soviets access to the Mediterranean through Cyprus. There was a well-organized Communist Party of 10,000 members on Cyprus and in 1960, this was of considerable concern to us; (2) to insure the continued function of US facilities — our Federal Broadcasting Information Service (FBIS) facility, our relay facility — on the island; (3) to insure the continued functioning of the British Sovereign Bases on the island; (4) to work to prevent Cyprus from disrupting the southeastern flank of NATO by becoming an issue between our NATO allies Greece and Turkey. These are given in no particular order, though there was some preoccupation with the “Communist threat” in Cyprus, and even President Kennedy (seen here with President Markarios in June 1962) was said to be taken with the island and the problem in the early days. [FBIS] is an overt monitoring service, and that particular location was highly effective for monitoring internal domestic broadcasts in the Soviet Union. It was said to be one of our most effective FBIS stations. Secondly, we had a tremendous radio relay station, only a relay point. Communication facilities were not as sophisticated as they are today. The relay station had direct lines to Washington. Messages would go, for example, from Beirut to Cyprus, off of one wire onto another for direct transmission to Washington. And then there was another facility referred to just as “a station.” I suppose it was an NSA [National Security Agency] facility. It was staffed when I was there by US Navy personnel because, during the Greek Cypriot terrorist campaign against the British, life became so tense that the Department had problems getting civilians to go there. We had a rather large complex of facilities and a very real interest in the island. We wanted to protect our interests and keep Cyprus from falling under Soviet influence. Remember that the Soviet fleet was active in the Mediterranean at the time, and our interests in Cyprus were real. To show our interest we wanted to get off to a quick start. One possibility we had was a PL 480 program [legally justifying providing foreign aid] which we were able to justify on the basis of a drought of several years. It took some doing — we did not even have a copy of PL 480 in the Embassy when we started talking about it with the Cypriots. A couple of AID [Agency for International Development] types came over from Amman to help us out, and we drew up a program for 50,000 tons of wheat and barley. We gave it to Cyprus under Title II of PL 480. It was worth several million dollars and the Cypriots appreciated the gesture. The British had given Cyprus a golden handshake, really in return for the sovereign bases, and ours was the first assistance of any kind outside the British. We also began an Exchange Program and other USIS [United States Information Service] activities. And significantly, Makarios paid an official visit to Washington, and Vice President Johnson (seen here) paid a return visit to Cyprus. Two visits in the first couple of years of Cyprus’s independence were proof of our interest in the island. 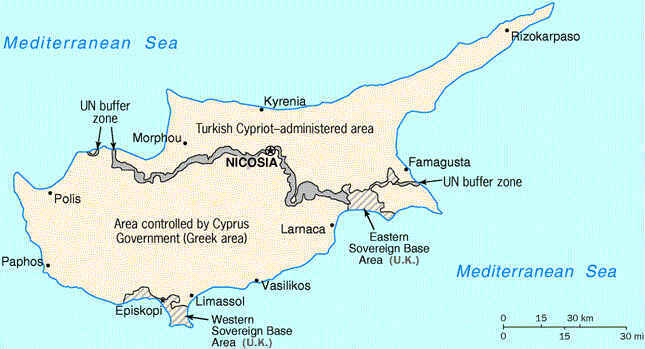 The Soviets had a tremendous diplomatic establishment in Nicosia, and we concluded that it was a regional Soviet base. They had an excellent Turkish language officer in their Embassy, and one or more Greek speakers. Our Embassy was relatively small. [It consisted of] the Ambassador, the DCM, a Political Officer, an Economic/Commercial Officer, and a rather large administrative section because we gave administrative support to FBIS, the relay base, etc. The station was composed of three officers and two clerical staff. But, as I said, the Embassy proper was very small. [Fraser Wilkens was ambassador for] all but about six months. Ambassador Wilkins arrived in Nicosia in September, 1960. I do not know for sure, but looking back I believe his only instructions were to encourage the Cypriots to make London-Zurich work. I have recently read some declassified materials that would seem to indicate that Wilkins did not believe the [Central Intelligence] Agency’s reporting and did not seem convinced that trouble was on the horizon. I had heard this from some of the Agency people some time ago, but only recently have seen a few things indicating that it was indeed the case. As I mentioned previously, it was suggested that we might use PL 480 as one of our instruments, but I am relatively sure nobody was looking at the possibility that London-Zurich would not work. Nobody was doing any contingency thinking, let alone contingency planning. I think those were the Ambassador’s instructions and I think he hewed to that line.